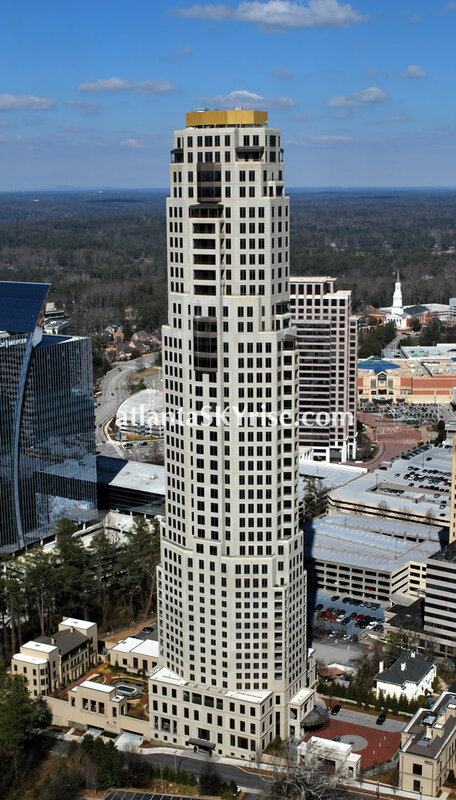 The Bellingrath is a luxury townhome development situated on a one-acre site in Buckhead. On the left side of the site are eight beautiful town homes in two buildings. To the right is a residents garden, running the entire length of the site. It is lined with trees and handsome landscaping, creating a park like setting for residents and their guests. The hardscape and landscape was designed by Hughes, Goode, O’Leary & Ryan. The entire property is gated and secure and, to me, feels more like a European style street than something typically find in most Buckhead neighborhoods. The architectural style of each building is French Regency, which according the architect was done to maximize the constraints of the narrow site. Even with the narrow piece of land, the townhomes live large like estate homes, reaching to 7,000 square feet on four levels. 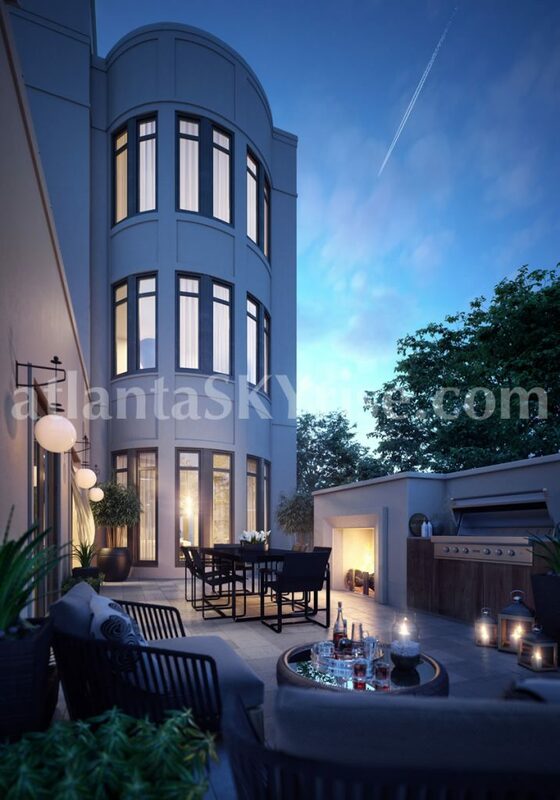 Each town home has an outdoor loggia and rooftop terrace with fireplace, some even have an intimate courtyard. The roof materials are not ashault shingles, but rather slate shingles. Something you never see in most homes. It just shows you the great care and thought that went into making these stunning residences. Today, I’m showing you the exteriors of the buildings. Tomorrow I’ll share some beautiful photos of the model home. I know you are going to love them. Check back tomorrow for the gorgeous model home tour!